When receiving signals from a satellite, it can be important to correct for the Doppler shift in the signal. Normally, I use Gpredict to track satellites and compute the Doppler shift. 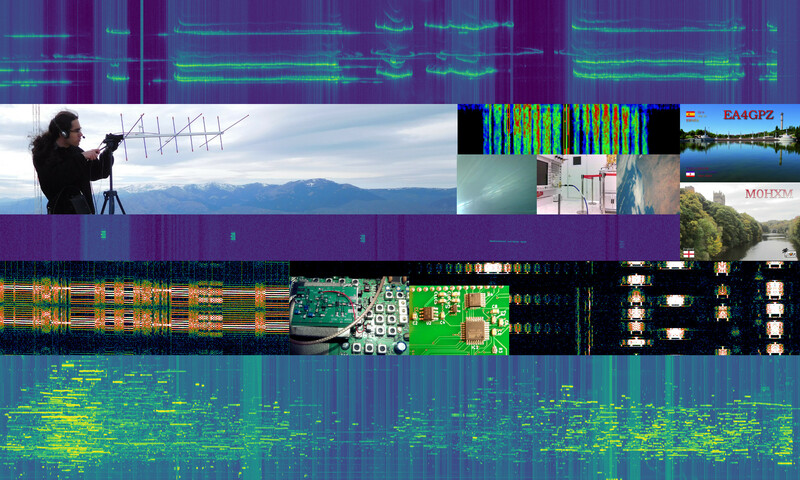 Gpredict can control the frequency of a receiver using Hamlib to track the Doppler shift. When using an SDR receiver, there are several possible ways of using Gpredict’s frequency control. Normally, the SDR software doesn’t support Hamlib control in a way that it’s useful and easy to use for this purpose. 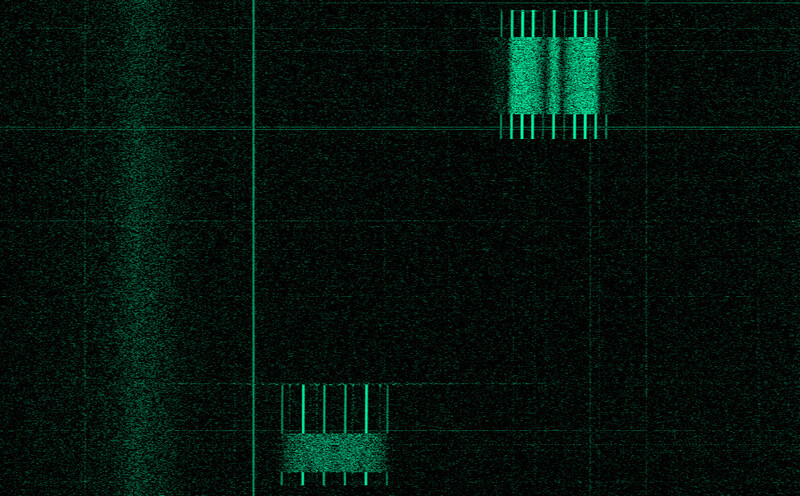 This is the case with Linrad, which is the software I use, and probably with many other popular SDR softwares. An easy solution is to let Gpredict completely control the frequency of the SDR receiver through Hamlib and prevent the SDR software from controlling the frequency. With the FUNCube Dongle Pro+, which is the receiver I normally use, this is easy to do. It can be controlled without problem with recent versions of Hamlib, and if you set the dongle in Linrad as an “Undefined” card instead of a FUNCube Dongle, then Linrad will not try to control its frequency. The problem with this solution is that each time that the frequency gets updated, it does so in a non phase continuous manner, because the PLL of the receiver has to lock on to the new frequency, effectively losing reception for just a tiny amount of time. This supposes no problem for SSB, CW or FM reception, because your ears just don’t notice. However, if you want to receive any digital signal or SSTV, the frequency change usually messes with the decoder software, which loses sync and suffers decoding problems. An alternative solution is to leave the receiver frequency fixed and correct for Doppler shift in software. In a previous post, I recorded and decoded LilacSat-2 telemetry. This satellite transmits telemetry on 437.200MHz and 437.225MHz using two different radios and antennas, as can be seen in the radio info page. The transmission on 437.200MHz is usually 9k6 BPSK telemetry, but this is the same frequency, radio and antenna that is used for the amateur FM transponder when it is active. Looking at the waterfall as I recorded the IQ, I had the impression that the signal on 437.200MHz was much weaker than the signal on 437.225MHz. Using my LilacSat-2 receiver and the IQ recording I did, I have plotted the signal strength on both frequencies to compare. All the decoders and the frontend are run on the same flowgraph. I find this more practical than having to run all the flowgraphs separately. Also, some blocks can be reused in this way. It uses gr-gpredict-doppler to compensate for Doppler. As I mentioned in a previous post, I prefer this to the Doppler correcting system included in gr-lilacsat. It plots and outputs to a file the signal strength on 437.200MHz and 437.225MHz. This can be used for later analysis. It supports recording file input, or live SDR using an ALSA source (for the FUNCube Dongle Pro+, for instance). Another SDR supported by GNUradio can be easily used. It supports recording both the raw IQ data and the Doppler corrected IQ data. The raw IQ file can be then played back by simultaneously running Gpredict with the correct settings for the recorded pass. The Doppler corrected IQ file can be played back without running Gpredict. This receiver can be downloaded from GitHub. The flowgraph is a bit crammed, but that’s what you get for having all the decoders in the same flowgraph. Several of the input/output blocks are disabled, so that you can choose which ones to use. Recently, I showed my experiences receiving and decoding LilacSat-2 telemetry. I managed to get 15 packets of 4k8 GFSK telemetry and 15 packets of 9k6 BPSK telemetry during a single pass. However, I couldn’t decode these packets because I didn’t know the telemetry format. It turns out that Mike DK3WN has released a decoder software. Here I show Mike’s software decoding the packets I received.